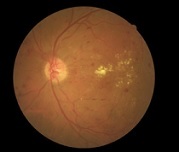 “Diabetic eye disease is the single biggest cause of blindness in the working population but is easily preventable. It is clear that effective interventions are required in the near-future to avert the anticipated health burden.” –Dr. Roger Staff. It is treatable if detected early but standards of screening vary vastly around the world. Researchers from the University of Aberdeen and National Health Service (NHS) Grampian are exporting Scottish expertise in the field to Africa, where diabetes is a growing problem, with the aim of improving international standards. In 2007, Scotland became the first country to introduce a rigorous online testing program for those who screen for diabetic retinopathy. It requires every screener to undertake a bi-annual online review to test the accuracy of their diagnoses. But in many developing countries, where health services are private, those conducting the photo screening have often completed only limited training. The Aberdeen team, made up of Drs. Roger Staff and John Olson, was asked to investigate the issue by the Ophthalmological Society of South Africa. Their study found many weaknesses in the screener’s performance which could result in the condition going undetected. The Aberdeen team will now work with the Ophthalmological Society of South Africa to devise training programs which they hope could eventually be rolled out worldwide.